PETROLEUM TRAINING INSTITUTE, EFFURUN Has Started The Sale Of Post-Unified Tertiary And Matriculation Examination (Post-UTME) Screening Application Form For The 2018/2019 Academic Session, All Candidates who meets the eligibility below can now proceed to purchase the screening application form online. All Candidates that chose PETROLEUM TRAINING INSTITUTE, EFFURUN as their first choice of institution in the 2018 UTME, and got a JAMB score of 120 and above are eligible to purchase the post-UTME screening application form for the 2018/2019 Admission process. 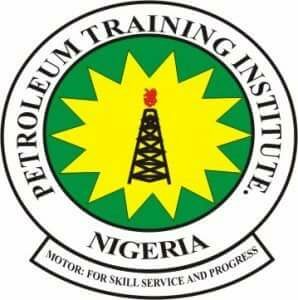 Also Note that candidates who did not choose PETROLEUM TRAINING INSTITUTE, EFFURUN as their first choice of Institution and scored 120 or above, and are willing to change their first choice to PTI before the screening date can also apply for the 2018/2019 Post UTME screening exercise. e. The Screening Exercises Will Take Place on Saturday, 11th August, 2018. Important Notice: Candidates are expected to enter their correct JAMB registration number, valid mobile phone number and e-mail address with which the Institute will communicate with candidates. 4. Automatically the Remita Retrieval Reference (RRR) Page will open then you generate The RRR Code. 5. Print the RRR code page and take it to any bank for payment. Make sure you keep the RRR print out. 6. After the payment of 2000 naira which is the cost of each application form, return to the PTI website (www.pti.edu.ng) and click on “Return to My Application” “under Admission menu”. 7. Enter your username and password and click Login. 8. Fill in the online post UTME screening form which will be presented at the Examination /Interview center along with your RRR code print out,​​ JAMB result and O’level result. 9. Finally Candidates should note that inconsistency in names,​​ picture on photo cards, O’level certificates, UTME results and other registration documents will not be acceptable to the Institute and may lead to disqualification of defaulting candidates. 1. ​If try to login and the portal rejects your​​ USER NAME​​ and​​ PASSWORD​​ after payment, mail​​ itsupport@pti.edu.ng​​ your RRR code. ​​ Or use the Re-query your RRR code at the bottom of the login page. 2. Read the instructions on the front page of the website carefully before completing the form. 3. Candidates must confirm the JAMB registration number and email address at the point of application, as there will be no result for wrong JAMB registration number/email address and other errors made by any applicant at the point of application. 4. Every information required for the filling of the Post UTME application form will be obtained in the Institute’s website;​​ www.pti.edu.ng. 5 Finally note that contradiction in names, passport, O’Level Certficates and other registration documents will not be acceptable to the institute and​​ may​​ lead to disqualifications of defaulting candidates. Kindly e-mail itsupport@pti.edu.ng​​ or call 08037234529, 08058431017, 08092138480 stating your challenge.